Jessica as Adidas spokesperson? Yes please! 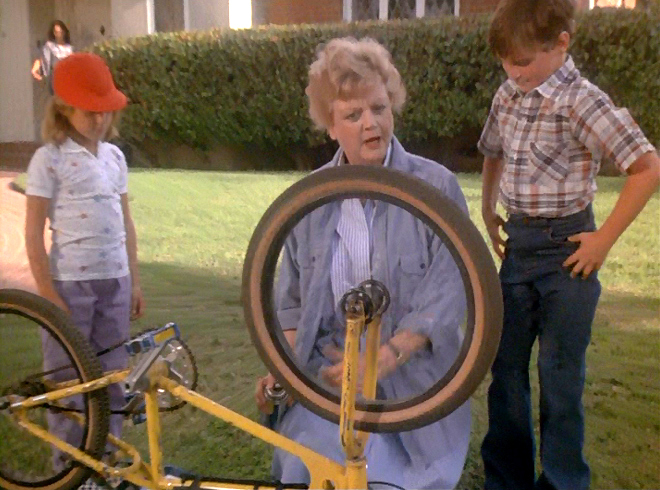 So… it might seem like an odd question… but do you know what Justin Bieber and Jessica Fletcher have in common? One of my friends cheekily said ‘the haircut’, but I will ignore her outrageous suggestion!! The right answer is… they both wear Adidas trainers! Actually, if I am not mistaken, Mr. Bieber is the official spokesperson for Adidas at the moment. I tried to look up on the internet if Adidas ever officially enlisted Jessica in any capacity, but apparently they didn’t. What a pity! Oh well, their loss, totally. I had to pause my DVD several times to get a couple of half-decent screenshots, as Jessica’s shoes are mainly visible whilst she is running up a couple of steps, but I hope my images are good enough to throw Adidas into the deepest pit of despair upon realising what a great sponsoring chance they have missed on. On the other hand, at the moment it does not really matter whether you are real or fictional, young or old, alive or dead: the boundaries of advertising are pretty flexible (has anyone asked Audrey Hepburn how she keeps her figure whilst munching on so much chocolate?) hence I don’t really see the problem in getting Jessica to run after a murder suspect in a pair of spanking new trainers! I bet their sales would soar in no time. 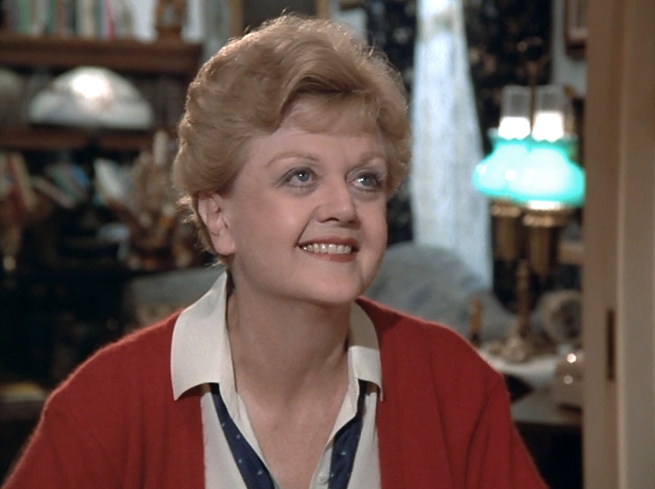 Jessica Fletcher as Adidas 2013 spokesperson? It would be awesome and I think I should probably start a petition about it. What do you think? Jessica’s white and blue Adidas trainers are quite a classic. You can get something very similar on Spartoo, at NikeClassic or even on this website which I am not really sure what is called! 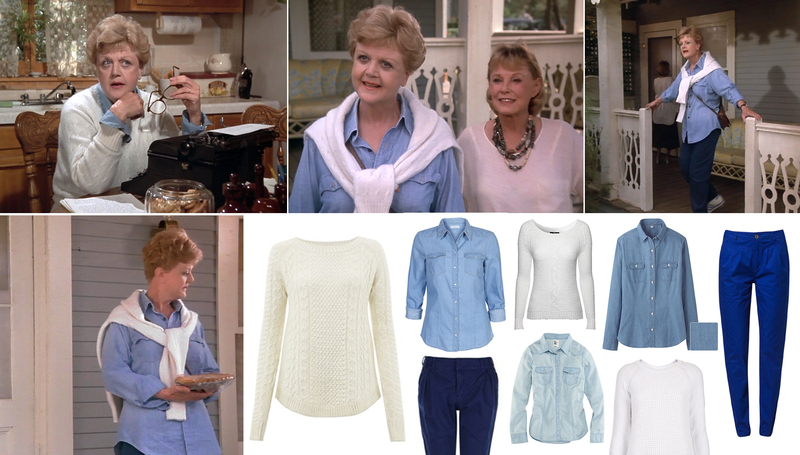 To complete her sporty outfit, Jessica wears a white jumper over a denim shirt and a pair of cozy deep blue trousers (that don’t look like jeans to me, but I could be mistaken). Raise your hand if you would like Jessica to show up at your house with a pie!! I know I certainly would. :) I think this classic knitted jumper by French Connection and this Jane Norman ‘slouchy tube cable jumper’ available at House of Fraser are really pretty. If you want something more modern, this mix knit jumper by Top Shop could be also a lovely choice! A good denim shirt should be a staple in every wardrobe. You can get yours pretty much anywhere, such as, for instance, at H&M, at Only.com or – of course! – at Uniqlo. 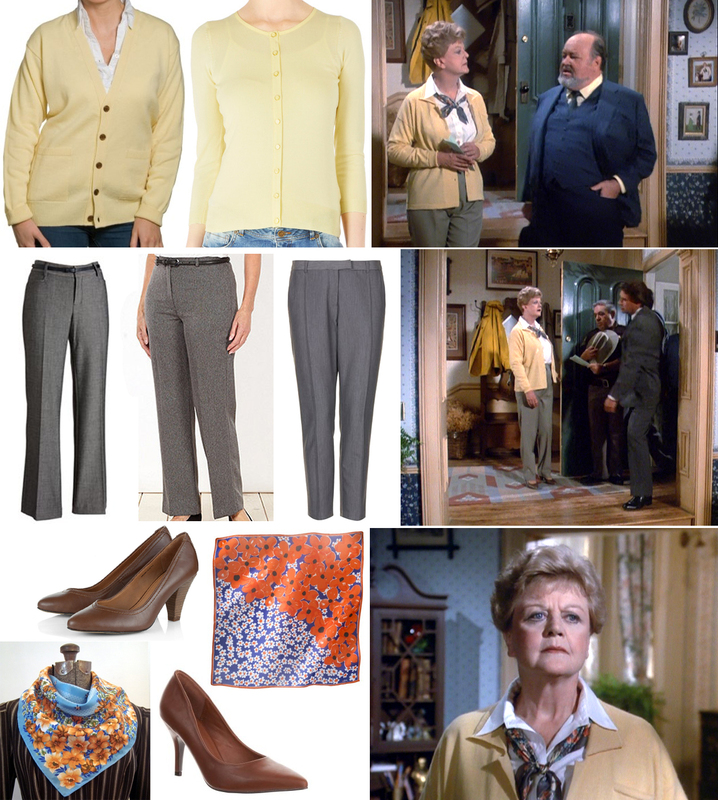 I am convinced that in these screenshots Jessica is wearing the very same blue trouser I wrote about in this post, hence my choices are still these Bench trousers and these comfy chinos. 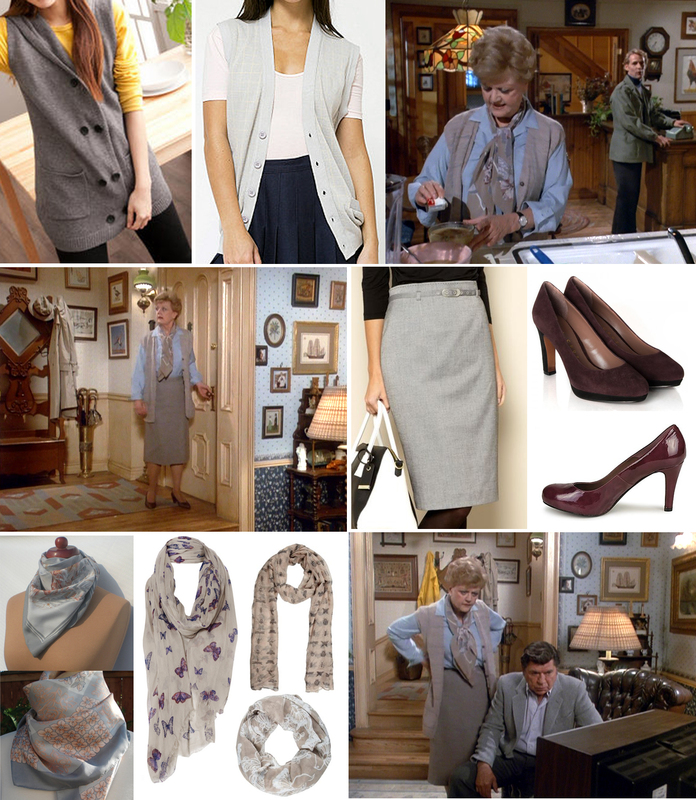 Later in the episode, Jessica sports another similar ensemble, with a jumper over a shirt, but this time all in grey. I like this cosy unisex oatmeal jumper available at Woolovers and this pretty crew neck jumper available at Superdry, which she wears over a basic grey shirt like this one or this one, both available at Yoox. 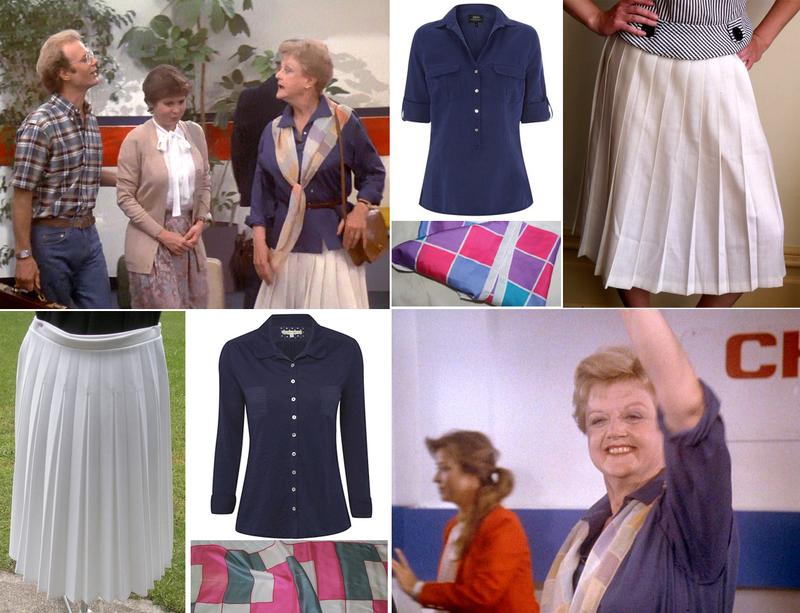 Over her lovely floral pleated skirt, the same she wore in this past episode, she wears a tan belt, and my picks are this thin one (now on sale at less than £4!) available at House of Fraser, and this regular one available at Uniqlo. 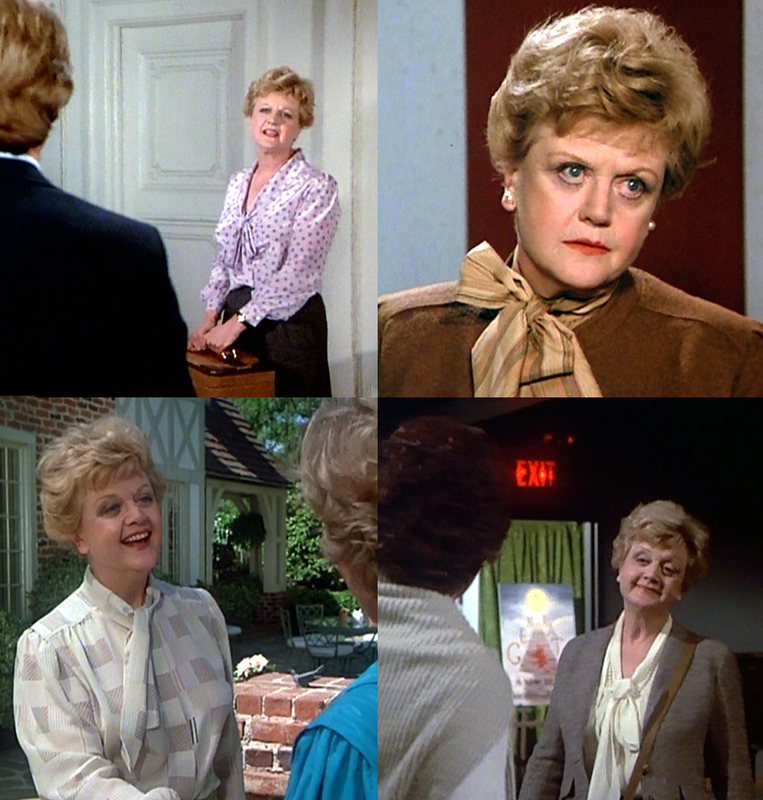 I decided to group together three very pretty outfits that Jessica wears in this episode because I think they are all fairly similar: a smart shirt (with or without a cardigan over it) and a silk scarf worn like a tie. The first outfit is composed by a long red cardigan, similar to this one by Woolovers, a white shirt, like this one by Zara, and an original silk scarf with a mix of dots and stripes. 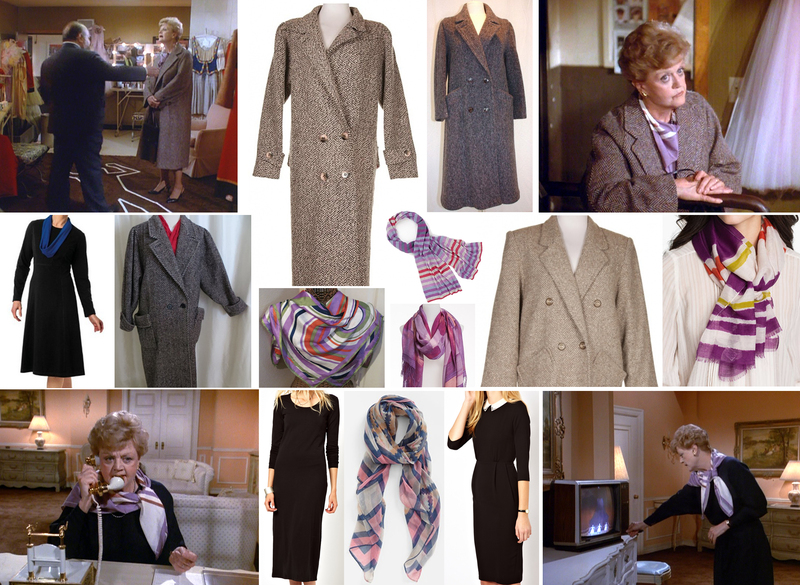 On a similar vibe I found this gorgeous vintage Diane Von Furstenberg scarf on Etsy by seller Evee’s Closet, or this simpler and yet really nice stripey scarf by Mishumo. The next outfit is quite similar but with inverted colours. The same long blue Woolover cardigan is available in many different colours, and of course also in navy blue. 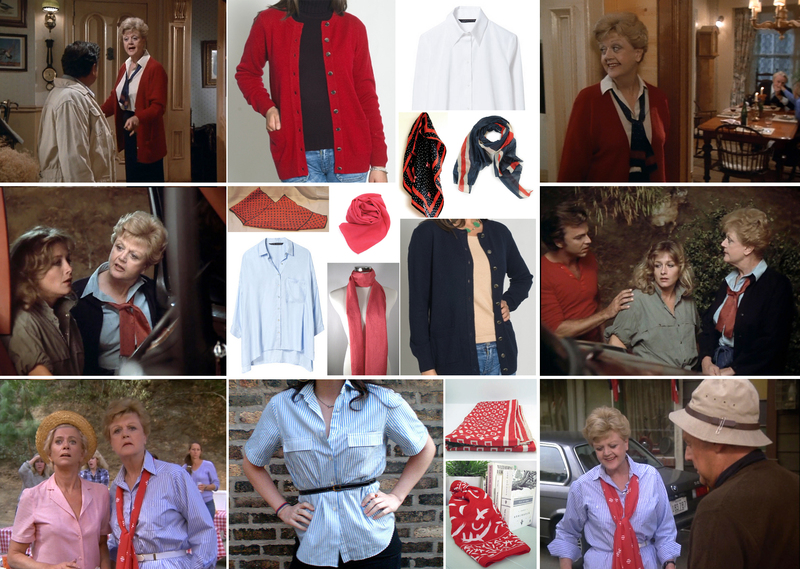 Under it, Jessica wears a light blue shirt, like this simple one by Zara, and a red scarf with blue dots, so I picked this pretty classic vintage scarf by Etsy seller DesignT and this lovely hand dyed red silk scarf by Etsy seller KMSilks. Even if quite different, I also like this pretty long scarf by Etsy seller JoLindsDesigns. 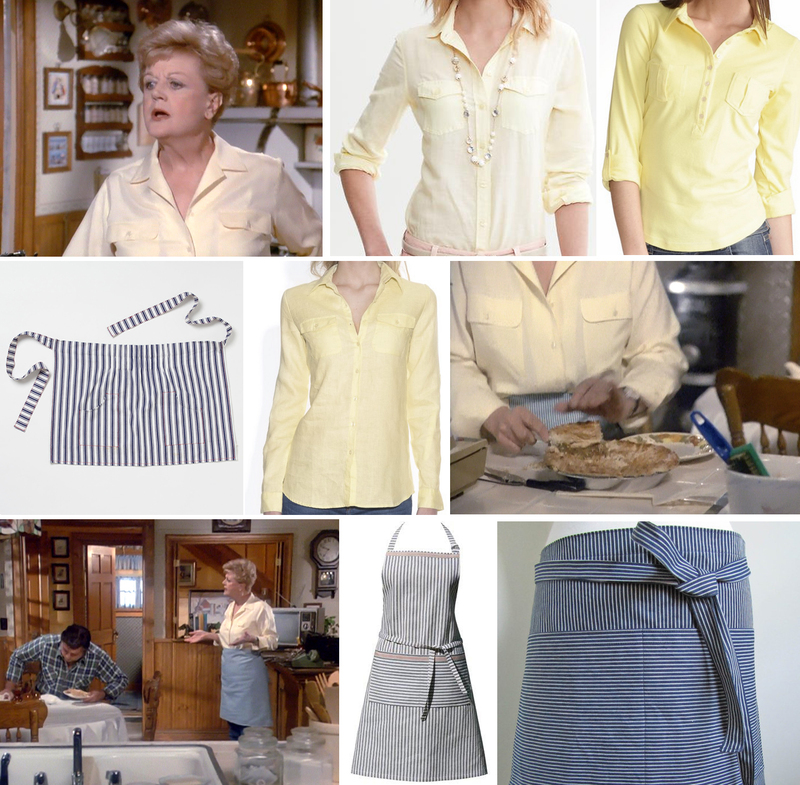 The last outfit is a classic stiped blue shirt with a white belt (a look we have seen on Jessica many times, such as in this episode). I picked one more shirt as this 1960s vintage one by Etsy seller Socialiste was too pretty not to mention. Her red scarf has a white pattern, so I chose this pretty vintage red and white ‘brushstroke’ scarf by Etsy seller Two Geeks Antiques, and this lovely red mid-century scarf by Etsy seller The Vintage Baker. Lastly, here is a screenshot I really like: Jessica’s stunning smile. 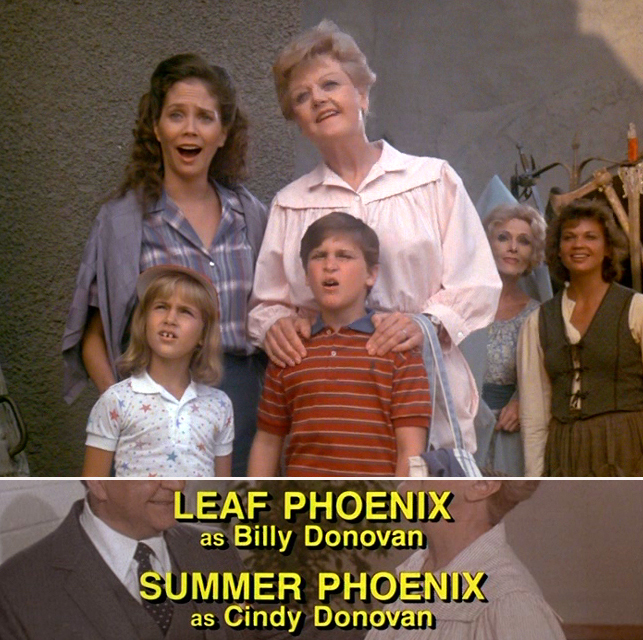 In this episode, Jessica is invited to spend the weekend in a really posh villa. Her outfit looks quite simple to put together and yet is very pretty and elegant. 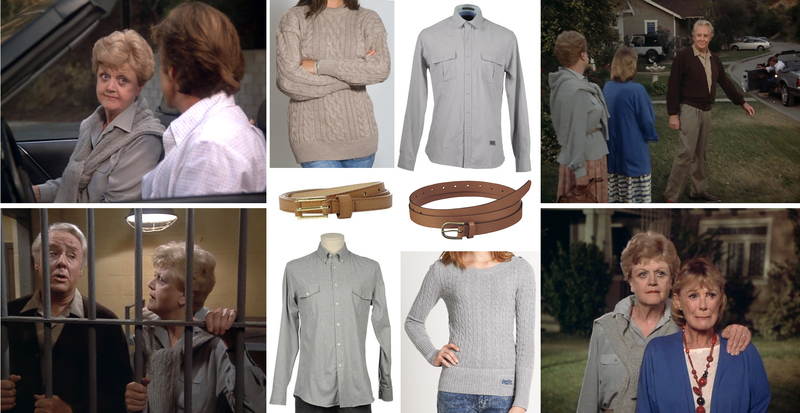 On top of her usual bow neck blouse (see previous post if you want to know more about it), she is wearing a pastel cardigan, like this beige one by Uniqlo, only £20 and available in many different colours. Her grey pleated skirt is quite a classic item and my choice is this vintage olive and white pleated skirt, only £15 at Rokit, or, for a more modern feel, this stylish black and grey tweed skirt, £45 at John Lewis. Looking at her lovely court shoes, my picks from the high street are these grey heels by Asos, these beige heels by Barrats and these beige heels by La Redoute, all on sale at the moment at £30 or less. Speaking of shoes, Jessica following a potential murder suspect – without realising that someone else was following her! – gave me the rare chance to have a close look at her footwear. I perfectly remember my mum wearing shoes which were almost precisely the same colour and style. Sure, they might be considered a little too old-fashioned nowadays, and that would explain why I had such a hard time in finding anything similar on the high street, but I think these lovely heels by Hush Puppies could be considered a good modern take on the same theme. If you prefer to go vintage, on Etsy there are plenty of beautiful shoes to choose from, like these lovely 1960s vintage pair by seller FarmsteadVintage or these pretty 1950s vintage pair by seller Dethrosevintage. And my personal favourites are these 1980s shoes by seller AgeetaOldieWoldies, which I wish were my size! 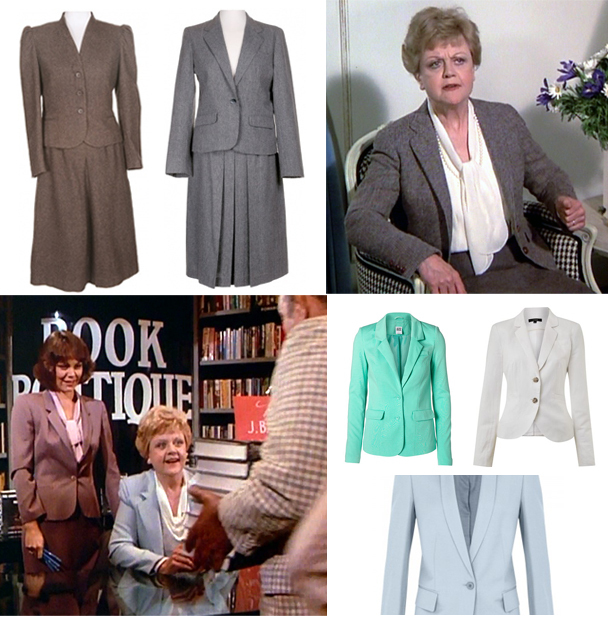 Something I would like to mention about this episode, at least briefly, is Jessica wearing tweed suits (with pleated or pencil skirts) and smart blazers. If you want to recreate the perfect tweed suit look for a frame of the price you would pay on the high street, you need to go vintage, for instance with this beautiful grey tweed suit, now on super-sale at only £25, or this lovely brown and black tweed suit at £42, both available at Rokit. Suit jackets or blazers in pastel tones are easy to find, especially now that spring is just around the corner. If you have £800 to spend, you could be interested in this pale blue Stella McCartney jacket, however my personal preference goes to this pretty white jacket, £30 on sale at House of Fraser, or this lovely turquoise blazer, £40 at Veromoda. Jessica carries around a lovely brown leather bag. Of course there are a lot of similar bags around, but my picks are this tan bag at TKmaxx, this bag by Asos at only £16, and this super-cute bag available at Warehouse. The hat that Jessica is wearing (mostly as a travel accessory) is a black beret, and you can get one exactly like it on Amazon, for only £5!! If you fancy something more whimsical, Accessorize added a flower detail, whilst Oasis added some diamond sparkle. And if instead you would prefer a different colour, my advice is to go to the Oxfam website (always worth a browse for so many reasons!) and snap away this lovely vintage brown beret. 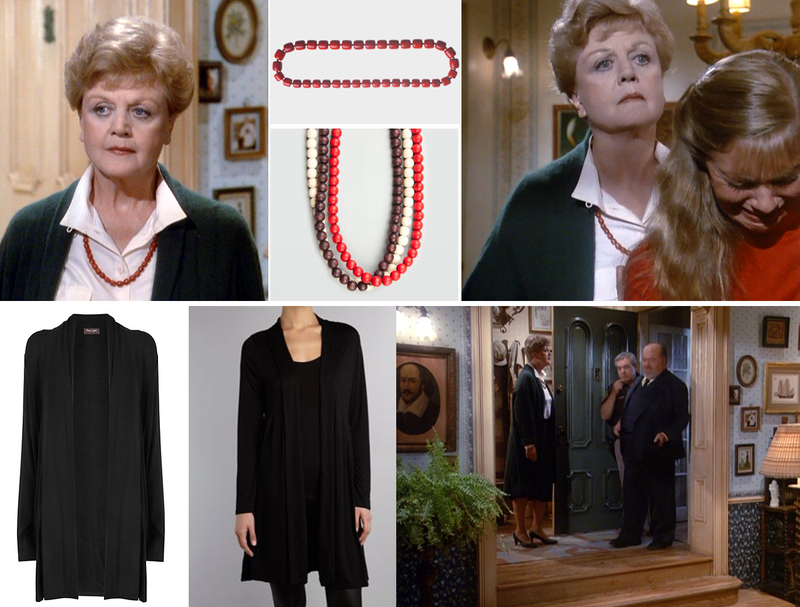 Jessica’s bow neck blouses: a fashion revelation! Bow neck blouses look absolutely fabulous in any situation. Do not walk alone at night in a city you are not familiar with. 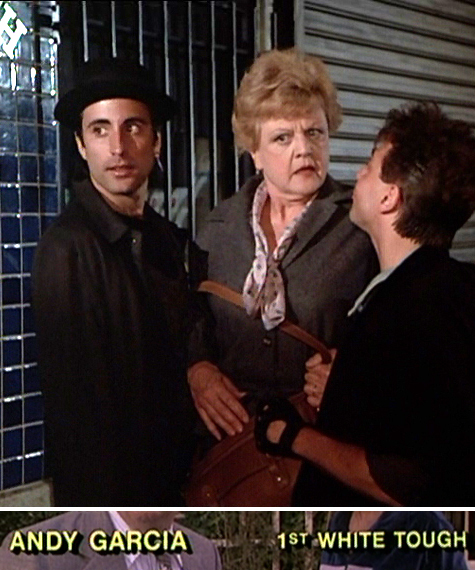 A fresh faced Andy Garcia trying to mug poor Jessica! 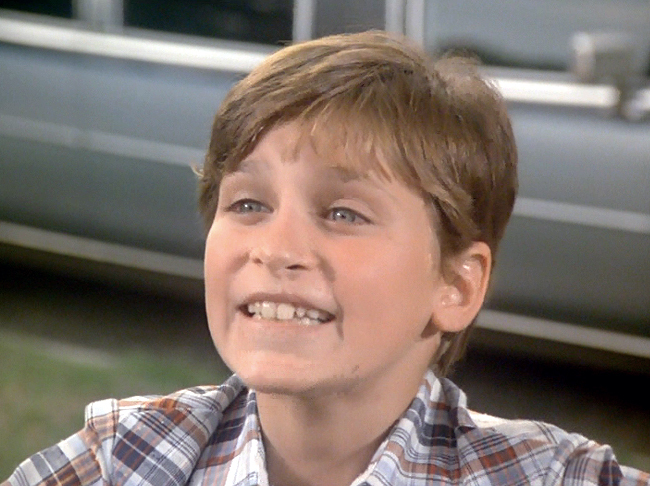 First things first, if you want to live a life of crime, better lose that earring, Andy! 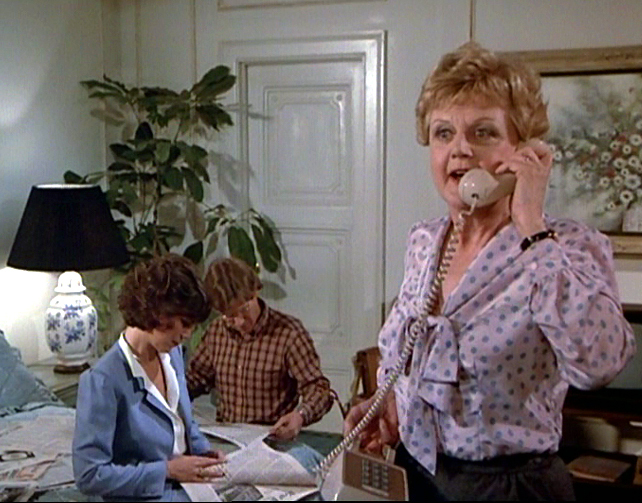 Second, I am not sure if it is because this is the pilot, hence it is way longer than usual, but Jessica Fletcher wears about twenty (20!!) outfits in this episode!! 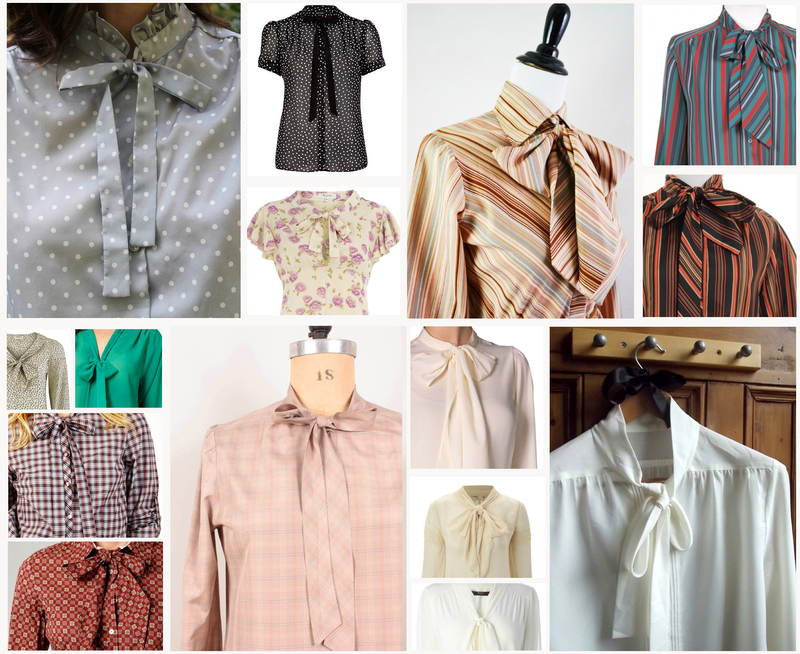 I will start from my first fashion discovery: bow neck blouses. 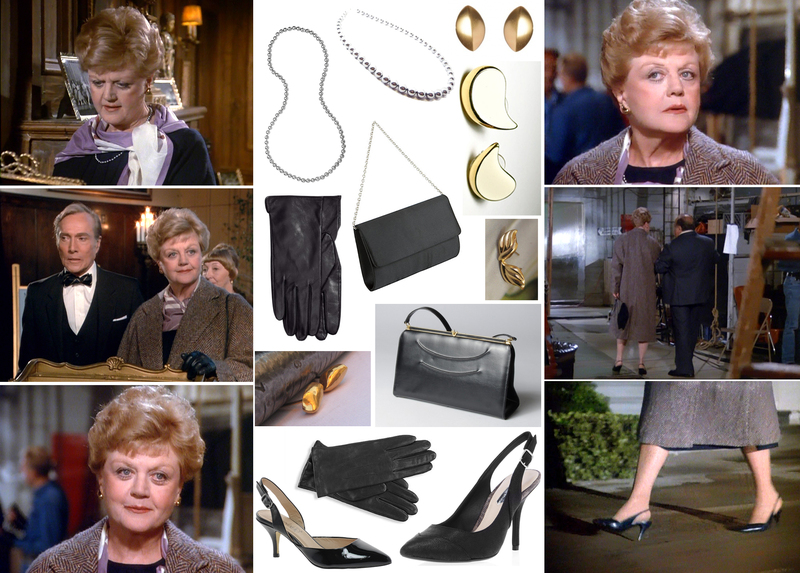 I must admit that I hardly knew they existed and never thought about wearing them myself… and yet Jessica wears them with such class and elegance that I am now determined to make them part of my wardrobe! A super-quick internet search reveals that this style is far from extinct and there are many choices for all pockets. 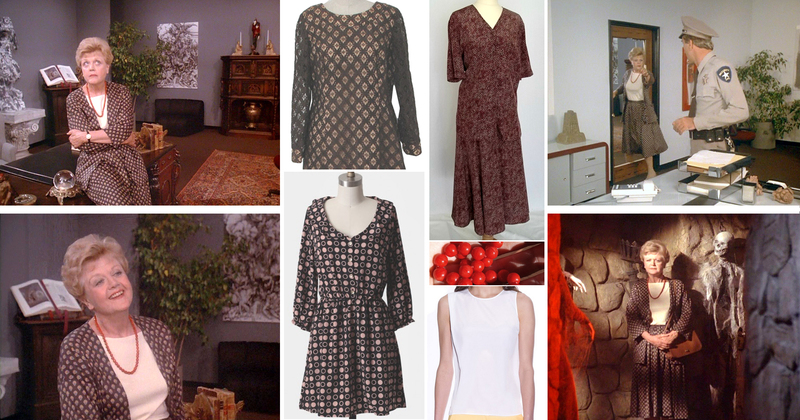 My personal suggestion is to head to Etsy, where you can find lots of beautiful vintage and handmade options, such as this whimsical polka dot blouse by seller EBV, this lovely brown shades stripes blouse by seller RareSpeciesVintage, this pretty checkered blouse by seller Pineapplemint or this classy white blouse by seller DollyTopsyVintage. If you like vintage and the beautiful striped design, I found other colour variations on the same theme, such as this olive and red from Rokit or this black and salmon from Beyond Retro. If you prefer to shop from high street brands, you are still spoiled for choice! River Island offers this black polka dots blouse with a modern transparence twist, whilst Dorothy Perkins goes floral. House of Frasers chooses Tommy Hilfiger’s geometrical pattern and People Tree prefers scattered dashes. Pretty check pattern is the choice for Oasis, whilst Debenhams goes for total green. And if it is the timeless white you are after, you can head to Bhs, House of Frasers or Veromoda, all within a more than reasonable budget. As you can see, the choice is immense! Even a simple search on popular shopping websites, such as Polyvore or Popsugar, gives you plenty of styles to choose from, from budget to luxury.